When you go hiking, trekking, and mountaineering, finding your way around can be a challenge. This is especially true if visibility is poor or the landscape doesn’t have any distinct features. In this case, a handheld GPS device can be a true lifesaver. These days, most recreational hikers use their smartphones for navigating the great outdoors. Well, that is until their batteries die out or they get their phones smashed. 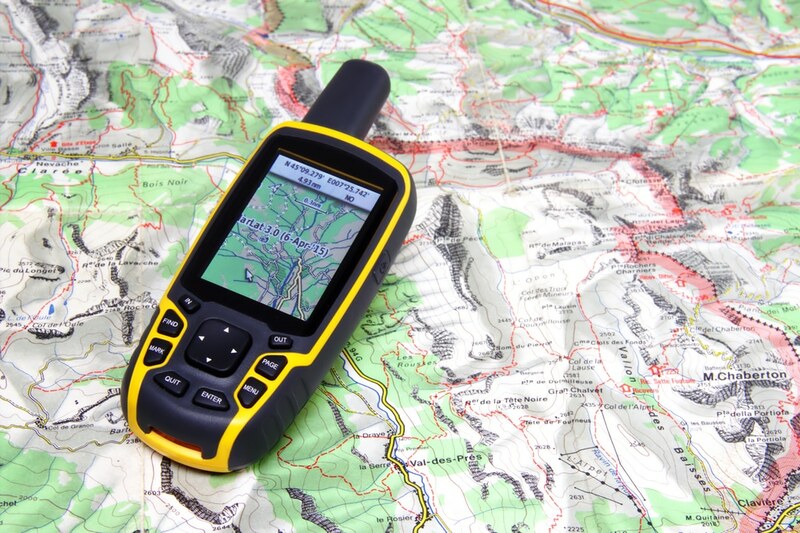 Dedicated handheld GPS devices are far more durable than your standard smartphone and can easily withstand the harsh outdoor conditions. Plus, they have longer lasting batteries which are definitely a plus for outdoor use. Today, we’re going to review the Garmin 64st – one of the most popular handheld GPS available. 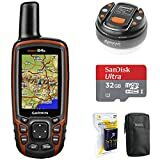 Is this handheld GPS right for you? The price differs based on the model you choose. For this review, we’re going to focus on the 64st base model. The Garmin GPS 64st features a 2.6″ color display which is easily readable even under the sunlight. For this size, we thought that the screen is a little bit small, especially when compared to other devices in a similar price range. The screen is also not a touchscreen which can be a downer for many people. However, the 160 X 240 pixel display delivers good clarity regardless of the lighting condition. The transflective display is quite tough which is great for most outdoor activities. Overall, it’s not the largest display but it gets the job done. With GPS + WAAS + GLONASS combined with a very sensitive quad-helix antenna, we’ve never had any significant issues with accuracy. In both open and shady places, the signal acquisition has always been fast. Once the device finds your position, it stays locked in. The built-in 3-axis electronic compass makes it simple for navigate old waypoints and tracks. Upon further testing, we can conclude that this is one of the best units in terms of satellite reception and accuracy. The lack of touchscreen hurts the usability of the device, especially for those who are used to using touchscreen devices. However, the Garmin GPS 64st features 10 large hardware buttons that work rather well, even when using gloves. Regardless of the lack of a touchscreen, the buttons are easy to press and highly responsive. The large multi-directional pad works well for navigation, and the other buttons are working without issues. We especially enjoy the mark button which made waypoint marking a lot easier. The menus are also simple and easy to navigate. Although as expected, there’s a bit of learning curve when accessing more intricate features. Overall, the GPSMap 64st is a breeze to use even when you’re not a tech-savvy. On a single charge, the battery life lasted for about 16 hours even with the always-on display. You simply can’t have this much power supply with a smartphone. The device is powered by AA batteries, so you can easily pack backup batteries with you during a trip. Unlike your traditional smartphones, the backlight is not used except when indoors or in complete darkness. There is also a Battery Save Mode which extends the battery life even more by switching off the screen after a certain time. Overall, battery life on the Garmin 64st is great. The Garmin 64st comes with a built-in worldwide basemap, preloaded with TOPO 100k and a 1-year subscription of BirdsEye Satellite Imagery. However, you can easily add more maps if you choose to. The device has an 8 GB onboard memory and even more expandable memory with the microSD slot. With this storage memory, you can simply download the map to your GPS and head out. 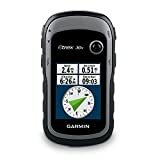 The Garmin 64st is for sale for approximately $260 for the ANT+Bluetooth and US TOPO model. For that price, we can say that the Garmin 64st offers good value. For such a price, you get a durable unit that is water resistant. Plus, it’s packed with a good number of features and reliable accuracy. The outdoor GPS market is a very saturated one. There are many units out there that offer great functionality and top-notch accuracy. With that said, we’re happy to say that the Garmin 64st is an easy recommendation. There are some glaring issues such as the lack of touchscreen and the dated interface. However, it’s hard to like the robust construction, great accuracy, a good collection of relevant features. Do you agree with this Garmin GPSMap 64st review? Is there are a particular unit that’s a better alternative than the 64st? Let us know your thoughts in the comments!